"We believe childhood is the beginning of many life adventures, and we provide the care that makes the difference." Kids Connection Childcare center is a family owned and operated center located in Mukwonago, WI. We offer a childcare program that focuses on the children and their individual needs. We incorporate a theme based program that follows the Wisconsin Model for Early Learning Standards which fosters social and academic learning. We take pride in the service we provide and look forward to making a difference in the life of your family! Got a Question? Chances are someone has already asked it! Take a Look! Main Center, 6:00 a.m. to 6:00 p.m. Monday-Friday. The Kids Connection Blog is composed by our Director of Administration and Employee Development, Blake Kraussel. Blake posts about a wide variety of topics based on children, childcare, and teaching. Topics related to conflict resolution, mental health, nutrition and other information relative to children and the industry. We are proud to announce the implementation of HiMama to our childcare centers! ​Many young parents drop their children off at childcare on their way to work. The day is then filled with information – traffic reports, updates from friends, sports scores, news from around the world, stock portfolio performance, notice of a colleague’s promotion and a cousin’s birthday. Yet, with all this information, parents have so many questions on their mind. How is my child? Did she eat her lunch? Did she have her nap this afternoon? Did I leave enough diapers? Is she getting along with the other kids today? What mood will she be in when I pick her up? Is he still as upset as when I dropped him off? I wonder what he’s learning about today? Is he happy today? 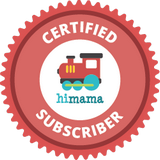 HiMama was created to answer these questions – informing parents about their children’s well-being and engaging parents in their children’s learning and development while they’re in a childcare program. See what others are saying about our commitment to children. Via email you can stay up to date on the latest News and Events from our Centers. We put out information about events and happenings going on both at our center and in the community. Exciting news!!!! Kids Connection is excited to announce the approval of our brand-new state of the art childcare center in Mukwonago. Construction will begin in October 22, 2018, and we have a six month anticipated build time. The new facility is a commercial building, with an organic and residential feel. The building will be just over 10,000 square feet, featuring 11 classrooms and holding a capacity of approximately 150 children. We thank the Village of Mukwonago, our amazing staff, and the families who have supported Kids Connection and our philosophy. We believe childhood is the beginning of many life adventures, and we provide the care that makes the difference.